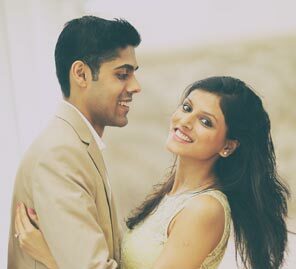 The bride tells us about how she met her husband Devang and about the their wedding festivities between Vadodara and Udaipur. Devang and I were introduced by his uncle, an old friend of my father's. We knew almost nothing of each other and it was really like a blind date. Dev is the CEO of a hotel company he started with his brother. I work in my father's company in hospitality too. So we had that in common and we just hit it off! Once our families decided to have the wedding in India, my mum and I had our hearts set on a royal palace wedding in Udaipur. We ended up with venues across Udaipur and some events in Baroda. We began with a Welcome Party in Baroda at Sandesera Farm. 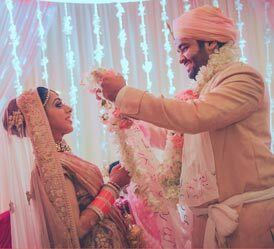 Then we moved the festivities to Udaipur with a Welcome Dinner on the rooftop of the Chunda Palace, Mehndi at the Leela Palace, Sangeet at Zanana Mahal, and the wedding at Jagmandir. We ended with a grand Reception in Baroda at Kabir Farm. 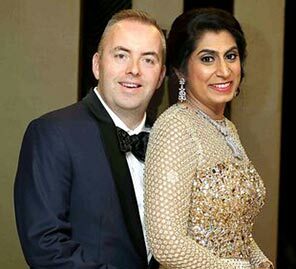 We leaned on Ankita Chugh and her company, Ankita Chugh Weddings. They did an absolutely amazing job all around. Everything was timed and executed so perfectly throughout the three days in Udaipur. 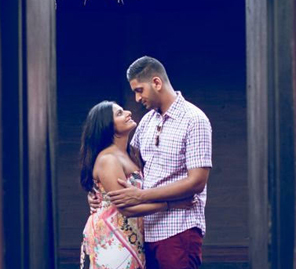 The biggest pillar of support through the wedding planning process, were our families in India. Because Devang and I both live in the U.S. we worked very closely with our cousins Shivani and Arpit on every detail of our wedding. Our uncles, Sanjay and Subhash were also instrumental in executing the planning of such a massive wedding. We couldn't thank everyone enough for helping us create this wonderful lifelong memory. The Welcome Party in Baroda had a Moroccan theme enhanced by the colours of deep blue and gold and amazing lanterns. The band Sanam performed that night, and the party rocked on until about 3am! For the Mehndi, we went with a quirky, colourful, outdoor event on the beautiful lawns of the Leela Palace. We had colourful tassles, bikes, and a bangle bazaar. The mood was extremely light and joyful. For the Sangeet we wanted to do a Gujarati garba themed event. We used deep colors like green, blue, and purple with hundreds of candles against the already gorgeous backdrop of the Zanana Mahal. For the Wedding at Jagmandir, we went with a very traditional theme, using red, gold and white and Indian "gota" flowers. Jagmandir is such a gorgeous venue, so we wanted to maintain the traditional royal look with our decor. The Reception was a grand event. We used a combination of pastels and floral fabrics, along with these beautiful crystal chandeliers, all highlighting the giant center chandelier made completely of flowers. - it was a delight! We wanted to create a very romantic evening and we had a lovely violinist and her band from Russia perform. All of our wedding shopping was done in Mumbai. My mother's family lives there, so I was very familiar with all of the designers and jewellery stores in the city. For the Welcome Party in Baroda I wore Sabyasachi. At the Mehndi I wore Anita Dongre. It was a custom Arpita Mehta for the Sangeet, and or the Wedding I wore Tarun Tahiliani. For the Reception I chose the showstopper piece from the Sabyasachi's 2014 Ferozabad collection runway show. Devang wore Raghavendra Rathore for all of the events, along with a diamond head piece given to him by his mom on our wedding day. Makeup artist- Elton Fernandez was by far the most fierce, fun, and talented! He created a different look for each event. I never questioned his ideas on my looks. I would just sit in the chair, and watch him create his magic! Décor Designer- Heena Patel from Amaahyaaj. She was the young, trendy, and chic designer I was always hoping to find. She designed every single event with such passion and really pulled it off excellently. She really is a creative genius!